This is an update as we work to refine product documentation in all languages. Process Lasso’s Forced Mode is now documented here. Do not confuse this with mere default/persistent/always priorities or CPU affinities. 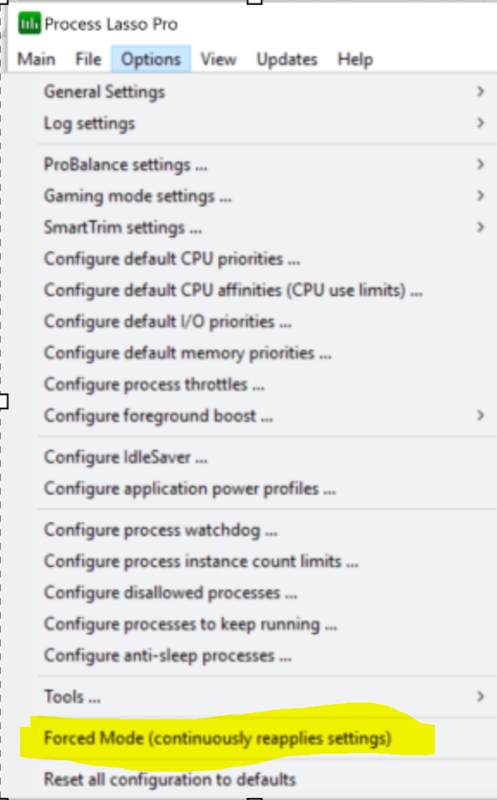 That (persistent process settings) is a core feature of Process Lasso, but the user must set them under ‘Always’ in the process context menu. The Forced mode option tweaks the way that persistent CPU affinities and process priority classes are applied. Any later changes are left to be. 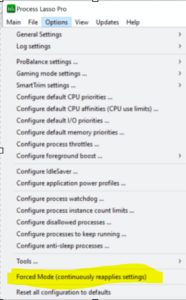 For instance, if the app changes it’s own CPU affinity or priority class.